Climate change is killing arthropods and this is undermining the food web in rainforests. Arthropods are insects and invertebrates such as spiders and centipedes, which we casually refer to as bugs. In October 2018 the Proceedings of the National Academy of Sciences journal (PNAS) published a report called ‘Climate-driven declines in arthropod abundance restructure a rainforest food web’. The academy (NAS) is an organisation of Ameri­ca’s leading scientific researchers, established in 1863 by President Abraham Lincoln. It is charged with providing inde­pendent, objective advice to the nation on matters related to science and technology. Its journal was founded in 1914. Nearly 500 members of the NAS have won Nobel Prizes, and the PNAS is certainly one of the premier international scientific journals publishing the results of original research. Insects around the world are in crisis. In 2014 an international team of biologists estimated that in the past 35 years the mass of invertebrate populations (insects and bugs) had decreased by 45 per cent. Last year a study showed that in Europe, insect populations are plummeting. For example, flying insects in German nature reserves have decreased by 76 per cent. Members of the German Krefeld Entomo­logy Society have been observing, recording and collecting insects from around the world since 1905. When comparing their 2013 and 2014 trap catch in European nature reserves to data from the 1980s, they noticed that the total mass of their catch had fallen by 80 per cent. “If you’re an insect-eating bird living in that area, four-fifths of your food is gone in the last quarter century. That is staggering,” said Dave Goulson, an ecologist from the University of Sussex, UK. With one million species of insects identified so far, scientists estimate that globally at least four million species are still un­recorded. Species are going extinct that we do not even know exist. In fact, we will never know that they ever existed. This is worrying. A food web is a system of interlocking and interdependent food chains. A food chain is a series of organisms each depending on the next as a source of food. A simplistic example of a food chain would be: rodents and smaller birds eat bugs, the snakes and bigger birds eat rodents and smaller birds, and so on up to the apex predators such as leopards and tigers… you get the picture. So you can see how a mass dying-off of arthropods or bugs can start a chain reaction severely affecting wildlife populations in the rainforest. Also, if it is happening in one rainforest it is more than likely happening in all rainforests. The study started being carried out in the El Yunque rainforest in Puerto Rico in the 1970s. The samples of bugs were collected using a number of techniques. It was found that in the present day the arthropod populati­ons had dropped by 75 per cent and 87.5 per cent, and in some cases by 98 per cent. Moths, butterflies, grasshoppers, spiders and others, everything, was dropping. The populations of insect-eating lizards, frogs and birds fell by between 30 and 50 per cent. The food web appeared to have been obliterated from the bottom up, causing its collapse. The scientists carrying out this study attribute the losses to climate change. The temperature in the rainforest being researched increased by four degrees Celsius. Insects thrive within a temperature range – outside this range they would no longer lay eggs and their internal chemistry breaks down. Other factors contributing to the extinction of insect life are pesticides, habitat loss, pathogens, droughts, lack of rainfall and invasive species. Insects are important in all habitats, not just the rainforests. In Malta, easily the largest portion of fauna is made up of insects and land-based molluscs. I am not aware of any recent research assessing the state of insect and invertebrate populations in Malta. I would, however, venture an educated guess that they are not doing well at all. The onslaught of building developments on Malta’s wild habitats (Outside Development Zone – ODZ land), is unrelenting and this must be decimating the populations of insects and land molluscs in our island country. Air pollution and insecticides used in farming must also be contributing to the decline of this fauna. In my childhood years butterflies were everywhere. Now, when was the last time you saw a butterfly? In May of this year the Times of Malta carried an article called ‘Bees in Malta ‘under serious threat’. 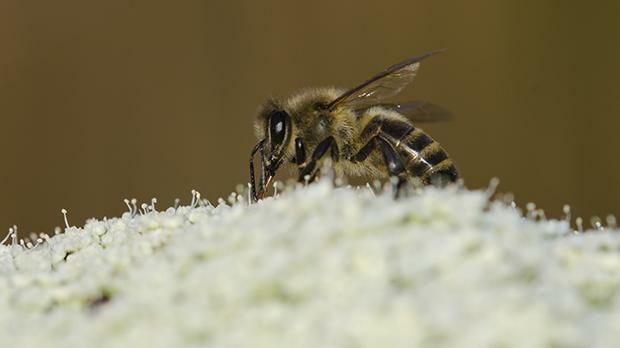 Mario Sant, from the Malta Beekeepers’ Association, is quoted as saying that bees are facing serious threats from the overuse of pesticides, climate change and unsustainable development practices that slice through wildflower-rich habitats. The article further pointed out that bees and other pollinating species are responsible for about 15 per cent of Malta’s total agricultural produce but have been in decline for years. Some experts estimate there are now 60 per cent fewer bee colonies in Malta than there were just 20 years ago. This is a serious matter. Mr Sant says we are at risk of causing the extinction of Malta’s endemic bee. The present Maltese government has reduced the local Environment and Resources Authority, and indeed the Ministry for the Environment, Sustainable Development and Climate Change itself, to being apologists for the war that the government is waging on the natural environment and wildlife. Ultimately the power is with us, the people. There are actions we can take right now. Support ethical farmers by buying Maltese, organically grown agricultural produce; look for natural substitutes to pesticides; plant endemic trees and plants; support local eNGOs with your time; protest against air, light and sound pollution. Your vote reflects who you are: vote in politicians who care about nature and biodiversity, who care about our Maltese families and our Maltese communities, who care about future generations. Talk to your children about the dangers the natural world is facing. It is, after all, their future.